These blogs will be referenced again in 2018-2020 for Capricorns and those that have Capricorn in their Astrological chart. On January 4, 2011, we will have a partial solar eclipse of the sun at 3:50 am eastern time and 12:50am Pacific Standard time. It will also embark a new moon in Capricorn at 4:02 am EST, and 1:02 PST. 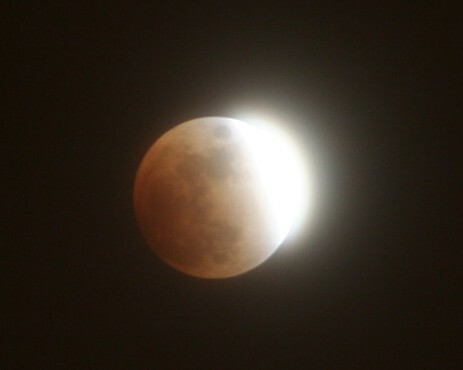 Unfortunately, unlike the lunar eclipse December 21, 2010, this eclipse will only be visible in European countries, North Africa and Central Asia. According to the ancient translations the word January is adopted by the Romans to signify the God Janus who had two features which signified beginnings and endings and the past and the future. This is very welcomed during the eclipse energy to set the stage to let go of the old and welcome the new. 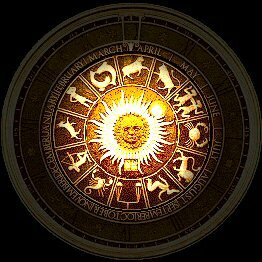 The eclipse is in the 13 degree of Capricorn, so people with Capricorn as well Cardinal signs (Libra, Aries, Cancer and Capricorn) including those that have Capricorn in their chart will be featured in their birth charts are more likely to be affected. Under this eclipse, people will want to turn their feelings into objective experiences. Before anything else there has to be action or some form of instant physical gratification before mental satisfaction. Solar energy is peripheral, protective, shielding, and vigorous – and reflected and expressed from within our life force. This eclipse provides us the energy to look at how we are using our possessions and resources and how these possessions or resources affect how we handle our every day lives. But more over, it also gives us energy to come up with a plan to entrust how we live daily. This eclipse will also allow us to look at our life to see where our plans are and to question its sustainability whether they are idealistic to serve everyone around or does it need to be re-mapped. Eclipses always focus on change and it is mostly in the physical world manifested through our spiritual world. Solar eclipse with a new moon forces us to start something new, to commit our selves to make plans. It also allows us to be selective of events which come through preparation, decisions, exertion, to take ourselves to a higher plane. But our anxieties will be at its highest because the pressure of change will be on a crisis mode. This eclipse will be very demanding for many people it is about new instruction and questioning what we are learning. This eclipse will bring rigid efforts, which will encompass responsibility, control and obligations. It also energizes respect of others and to find balance and fairness in areas of relationships. Many will be tested in the functionality of relationships, acknowledging their own faults and the attitudes which may have brought chaos, confusion and uneasiness in their lives. Think back to July 11, 1991 and also January 4, 1992….the solar eclipse was at the same degree, what happened to you? What did you learn? How did it affect your life? What was being revealed what duties were going to have what were you going to give up or had to give up? What were your priorities and what was love? If you can’t remember that far back than similar energies were felt on July 7, 2009. What were you thinking of leaving? I can recall 1991 eclipse like it was yesterday. I had moved back from California to Florida and months later I found out I was pregnant and I went into premature labor with my first son on July 11, 1991 only to discover he did not want to come into this world until much later. In January 1992, we decided to move back to California to seek a fresh beginning. Being broke and unhappy thinking things would change which they did not only forced me to move back to Florida in November 1992 and found out I was pregnant again with my second soon who was born the following year. July 2009, my oldest son had announced he was leaving for college hundreds of miles away and trying to juggle my love life and my children seem impossible and I knew something had to give. What I gave up hurt but what I gained was irreplaceable which was the truth which is blood is always thicker than water and family should always come number 1. For me it was about children, new home, leaving the old brining a new life and finding out what is real and what is not. Having said that perhaps you may want to consider are you leaving one life over the other? Are you plan on making grand changes to your life in 2011? Do you like what you are doing or where you are going or do you want to be doing exactly what you are doing months from now? Are the things you want in your life a fantasy or reality? I can tell you all I wanted was children and husband in the 90’s along with a white picket fence and over looking the ocean but I never looked at responsibilities and duties that follow the utopian family. Who are you with is it real-Or a fantasy of a perfect person? Where do you want to go? Do you have enough resources to make it happen? What kind of job do you want? Is it something you can really do or wish to do? These are the very depths of the eclipse which will force you to reconsider these things. But it perhaps the eclipse it has nothing to do with a child but it may even have to do with your job, home or family what ever it may be, but it is guaranteed to make some remarkable changes in a person’s life. The most intensities will be magnified for those who have a birthday that falls on January 4 & 18, February 2, March 4, April 3 & 18, May 4, June 4, July 5 & 21, August 6, September 6, October 6 & 22, November 6, and December 5, this will be the most impacted eclipse of your life. Even though those people with birth date listed above will feel intense energy of the eclipse, it will also impact those 5 days before the dates listed above and 5 days after. Nevertheless cardinal signs will feel the intensity across the board no matter what dates are. Even though the exact degree of the eclipse occurred in 1991 and 1992, there were some reactivating energy of what is to occur in our lives as it did 1990 through 1992 and 2000 to 2002. This eclipse also touches the heart of cardinal eclipses that was activated last summer (July 7, 2009). It questions our public and private lives, between feminism and masculine, father and mother and between responsibility and sense of belonging. Though this eclipse is geared towards the cardinal signs, the fixed signs (Leo, Scorpio, Aquarius, and Taurus) will not be out the segment of the solar eclipse. They too will be questioning their responsibilities against their freedom. This may cause many to tap on to their taboos of life to question their abilities of whom they are and what they are becoming. This could ultimately bring them great happiness, prosperity, assistance and bring into their lives people which could influence them to soar in their life in a different direction. For fixed signs it will be gift of the energy of the celestial transformation that will help them appreciate the lessons that the eclipse has brought them. The eclipse will surely bring intense energy and tension to question what is real and what is not as well as sacrifices of love, and relationships and those things that are valued. It will bring consciousness of principles and the way we relate to the world around us to question our selves as to the honesty that we are putting into our selves. To also question if we are being dishonest without our selves are we also being dishonest to others and how can we expect trust when we are not able to trust ourselves. Through this realization the experiences of past pain and introspection we will be given understanding forgiveness and healing. There will be a reason why old relationships that are not beneficial will die. If any relationship is toxic or not mature it will die also and the eclipse will give you the truth even if it hurts. This 6-month period there is going to be unsettled energies. However, for many it could even mean 3 to 3 & ½ years before any of this will come to fruitfulness. Its a time to focus on making peace, taking accountability and responsibilities of our own actions and knowing what is real and what is transparent. But it does not have to be all bad. It can also mean new projects, new job, new experiences… anything that begins with the word “new” which represents the New moon and solar energy that bring light into our world. Few days prior to the New Moon, known as the DARK MOON, energies are at their lowest ebb, in grounding for the new cycle to begin. Each New Moon signifies the opportunity to begin a new cycle in your life. 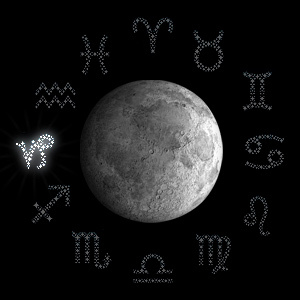 Depending on the elemental quality of the sign in which the New Moon falls, energies on variable levels are heightened, be they spiritual, physical, mental or emotional. The modality of the sign determines whether the emphasis is on conclusiveness, power or adaptability. This solar eclipse will bring out portions of healing, compassion, emotions, expressed needs, subconscious and reserve or quite side of you. The Earthy New Moon brings a time of brightness and growing. It is a stage of individual completion, but also a time to investigate for the deeper meaning in what you’ve created. How can you assimilate your apparition into the world for the greater good of all? The New Moon signals a time of manifestation. There is an impulse to take accomplishment and begin something new, be it a small change in the way you approach your daily habits or a whole new path on your journey through life. The energy is right for making spontaneous moves and following your instincts. This is the time to act from your spirit and faith the process – take danger by the hand and feel the truth and not being afraid that it will go bad or go good.. What do you want to create in your life? What vision do you wish to manifest? The new begins a new cycle. It is the seed of the beginning lunar cycle. The New Moon is an asking (invocative) time, and a time to prepare what our needs are according to the opportunities available through this moon in Capricorn. The moon urges you to distinguish and respect the significance of the “other” – other people, other ideas, and other values. Relationships are of great importance at this time, and you feel a need to allocate, to combine, to partner, whether lovingly or through other channels. 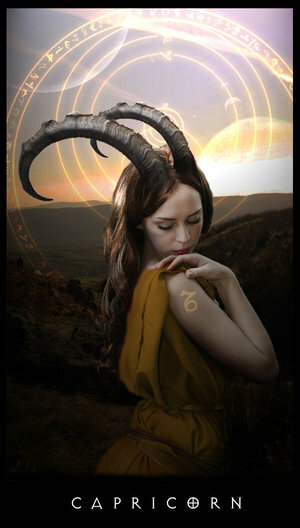 You are called upon now to work toward achieving balance – balance of your inner nature and outer personality, balance of your need to take with your ability to offer; stability of your ultimate ideals with what is possible in the world Capricorn Moon sets us straight up the mountainside toward our highest goals. Dig in those hooves and get climbing! Reputation, success, go,go,go….. You can undertake anything. Love seriously, too. This is the time to produce, plead and be grateful, and to work on fruitfulness and success. The energy will give highly prejudiced traits. There is a need to attempt to achieve and accomplish personal plans and ideals. There is a tendency tend to react impulsively and emotionally. 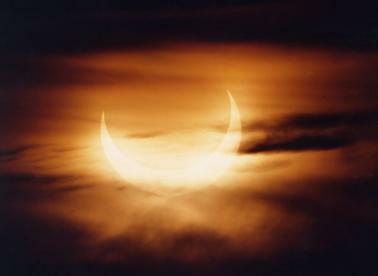 The Solar Eclipse energy forces modesty and self-respect in all things – thus there may be a tendency to hide emotions. 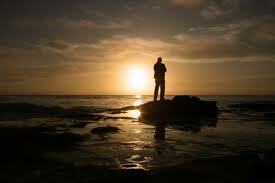 Where as, emotional situations may become more serious, weighing the outcome of the words and actions. Some may prefer to be with people who are regimented and accurate. The energy gives purpose, reasonableness and guidance. This energy will also encompass the concepts of nature versus nurture. Perhaps nurture may be chosen rather than nature by acknowledgement, achievements, encouraging them to persevere. This energy is feminine thus mother figure or a mother will be a disciplinary and respect will be forthcoming through order. Because the moon in Capricorn produces energy which are realistic, self-discipline, vigilant, reserve, determined, reliability, determined, systematic practical, and Capricious, and its effects are heightened as a Solar eclipse, you may choose to recite a mantra every morning until the next moon cycle. Additionally please make a note that I am not an Astrologer nor do I claim to be. The Vedic readings encompasses the energy of the environment, sun signs, moon signs and allows application which creates a pathway of choice. Vedic reading always allows two different path one that is destined for you on a physical world and the one that you change. Destiny is NOT written in pen rather a pencil with a larger eraser. You choose the path of your own destiny. And always keeping in mind that in this life there is no real yes or no’s because we don’t live in a vacuum. There is also no perfect timing since time is universal created by humans to serve the purpose for a human not the universe as a whole. For every action there will always be a reaction. The reaction of our own deeds and action will either solidify or diminish our needs and wants through the process of understanding and embracing. Always remember for the most accurate forecast of how the solar eclipse will affect you or even to get a glimpse of 2011 I would suggest you consult with my recommended astrologers such as Lee Stillwaters, Leslie Hale or Rex Estelle or you may choose an astrologer of your choice on my useful link page. Also take into consideration not to make any permanent decisions and give your self extra time to travel and be careful not to be in a hurry because mercury is moving to its station and will not be direct completely until January 11, 2011 more so the relief will come on the 18th of January 2011. Read more about this period here. Please note that starting January 04, 2011, after 8am EST, I will be accepting reduced price reading appointments. 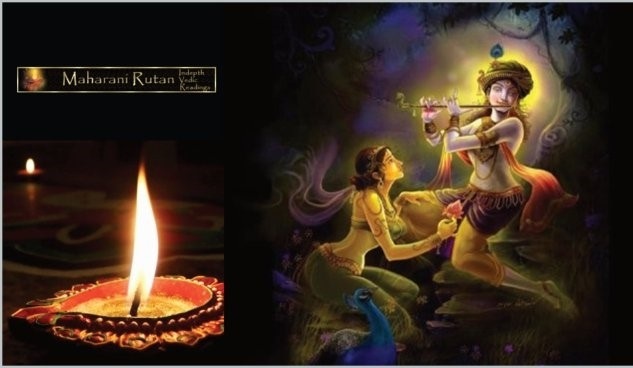 This will cover aeas of complex destiny, changeable destiny, Karmic pressure as well as spiritual impulsive lessons. This type of reading is only recommended for returning clients. I suggest that if you are a new client that you first have reading done on a topic and if it is a style that you can adapt to than set up an appointment to have a reading done by me. I will also be reducing my price for those who set up appointments with me or set up prior time to have a personal reading. Please remember that there is a another Solar Eclipse on June 1, 2011, which will once again effect Mutual Signs which closes out once phase and open doors to new. The Solar Eclipse on June 1, 2011, will question the eclipse of December 21, 2009, if you have closed chapters and learned the lessons of the eclipse energy. Always have journal around for things that happen negative and positive so that you can understand the energy of the future. Since everything in this world makes a circle to question and to see if you passed the test without egotistical motives through the test of the eclipse and celestial energies we are able to understand what the intentions are of the universe of us, since we are creatures of habit and habits are meant to be broken through change, acceptance, understanding, compassion, forgiveness, and love. Wishing you a great 2011, and may the solar energies bring you blessings and love always…. 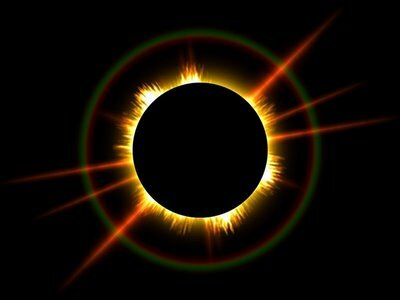 On July 11, 2010 at approximately 3:33pm EST and 12:33pm PDT we will have a Total Solar Eclipse of the sun in Cancer at about 19 to 24 degrees Cancer/Capricorn. However, this beautiful Eclipse would be it will not be visible to many of us unless you are in the Tonga’s. This eclipse similar to the one we had on June 28, 2010 will only last 3 minutes and 18 seconds. Even then the only people could even glimpse of the most pivotal moments of Astrologers dream would be in Chile or Argentina but It will move as fast as it had come in. Those that will be affected by the Solar Eclipse are Cancerians, Liberians, and Capricorns and those who have their houses, ascendants or any nodes in the cardinal charts. Especially early signs of Cardinal. We recently had a Lunar Eclipse on June 28, 2010, which affected most women because lunar has to do with emotions now we are dealing with solar energy which has to do with reactions to the emotions, therefore, men will be mostly affected by this energy as well as the foundation of your life. This will deal with issues of family, public, heritage, emotions and whatever that makes you who you are. Questioning all that we consider to be our comfort zone or what we consider home. Solar dynamism is peripheral, protective, defensive, and energetic – and reflected and articulated from within our life force. This eclipse is particularly objective and purpose oriented – and our ideals and resolve can be enhanced and intensified. Many people for centuries have idealized the Solar Eclipse as a bad premonition which enhances the sounds of nature which in fact creates phenomenons in the world. May Indian Scholars as well as Pundits (Vedic Astrologers) predict these changes will affect every ones community, economic, and opinionated sectors. The last time we felt this much energy was July 21, 2009, which echoed our own systems it was at that time deleting processes began, we placed everything in compartments and focused on cleaning up. We pressed the off button and restarted it. One of the main prospective for the solar eclipse is to understand what ever falls apart now it was meant to be that way and it will never be fixed which means the past must be let go. Fixate on issues that have hurt us and drained our emotional, financial and spiritual beings. Now is time to press the button again, and feel the energy being released. If you want to relate the effects of the Solar Eclipse of the past you may choose to look at Jan 10, 2001 (Lunar Eclipse in Cancer), July 12, 1991 (Solar Eclipse in Cancer) and January 10, 1982 (Lunar Eclipse in Cancer). Those that were born September-December 1974, and June 1975) your work priorities may become number one. Those born August 1952 through June 1954 is looking for excitement and freedom. Even though it will brunt cardinal signs it will very prevalent to those who were born on January 8, February 8/22, March, April and May 09, June 10 and July 11, August 12/27, October 12, November 11 /26 or December 11 these people will feel these eclipse for three years. The dates given will impact people that were born 4 days before and after the date shown. This impact will not be prevalent until 2011 around April 2011. This New Moon in Cancer speaks of mourning as contentment and sanctuary have been sabotaged by a World at war. Devotion, fortification and safeguards in our food and water systems will be in highlighted in the media. A desire to live a more simple existence and be black and white in economic decisions is seen. Romance makes a dramatic comeback! 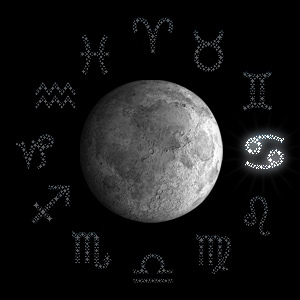 The moon in Cancer brings encouragement, emotions, compassion, thoughts and maudlin issues in our lives. The Watery Cancer Moon brings up memories of childhood, warm motherly arms and tender touches for loved ones. Our hearts swirl in a sea of ancient imagery…. watch out for crabbiness! You may be become irritable, sensitive, and need to hide in your shell sometimes. You may be a strong protector of family and tradition. Although your disposition maybe becomes changeable, people will come to you readily for nurturing and care. You look to a wise and older person for protection and nurturing. Care needs to be taken to avoid hurting the feelings of others as well as having your own feelings hurt. Since the Moon rules Cancer, solar influences are pivotal and most easily expressed when focused through this sign. The moon greatly influences character, the subliminal, and the emotions and molds instinctual conduct. When the Moon is in Cancer, it is a time of tense emotions and great sensitivity with people respond to life through emotions rather than reason. During this very venerable period be cautious not to psychologically wound others or allow you’re self to be offended. Generally, people will be unreceptive, easy-going, sentimental, affectionate and encouraging. Unfortunately, this motherly expression of caring is often expressed with food and it is easy to overeat. Cancer is a nurturing sign and the most fertile signs of the zodiac. With the moon in Cancer, it is a good time for creating life and for growth. This eclipse will pressure all of us and the light of your own Devine will be the comfort and protection zone. The eclipse will also question you what about your home? What about your family? What about your security? You have been wondering these issues for quite some time. The solar eclipse forces you to aggressively make that change. It is about new beginnings, and all of a sudden old issues comes a forefront and forcing you to take a different tactic. Whereas good people become even better and the worse people the worse. One must take the time to cleanse the energy and be easy not to make bold moves. Om, and salutation to Chandra president spirit of the moon. Remember the 12 aspirations. Don’t forget to cross the ones you have already accomplished and make new ones. Don’t forget to manifest matters concerning materialistic things at this time. And most of all don’t forget to light a white candle that day carve your name on the candle anoint the candle with Frankincense oil and chant Psalm 65 three times. If you should have any other questions regarding the new moon or solar eclipse, please feel free to contact me. I am currently working radio show on Blog Talk focusing on the solar energies and of course naming it Astrologers Jamboree II. Details will be posted as soon as they become available. On January 15, 2010 at approximately 2:07 am EST (11:07 pm PST on January 14, 2010) we will have annular Solar Eclipse of the sun. It will also embark a new moon in Capricorn. This is remarkable. The eclipse is in the 26th degree of Capricorn, so people with Capricorn as well as fixed signs (Aquarius, Aries, Leo and Scorpios) including those that have Capricorn in their chart will be featured in their birth charts are more likely to be affected. Under this eclipse, people will want to turn their feelings into physical experiences. Before anything else there has to be action or some form of instant physical gratification. 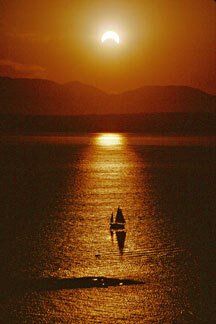 Solar energy is external, paternal, protective, and active – and reflected and expressed from within our life force. This eclipse is particularly goal and purpose oriented – and our ideals and resolve can be enhanced and intensified. We begin to deeply consider our contributions in the world, and the full expression of our humanity. This 6-month period is a time to focus on community ties, networking, educating and nurturing closeness to siblings and friends. This particular Eclipse chart places a huge planetary emphasis in one area of the Zodiac. Gemini and Cancer are highly emphasized, and we need to guard against out-of-control patriotism, misunderstandings and over-sensitivity about boundaries. Tiny details can over-run long-term goals. Few days prior to the New Moon, known as the DARK MOON, energies are at their lowest ebb, in preparation for the new cycle to begin. Each New Moon signifies the opportunity to begin a new cycle in your life. 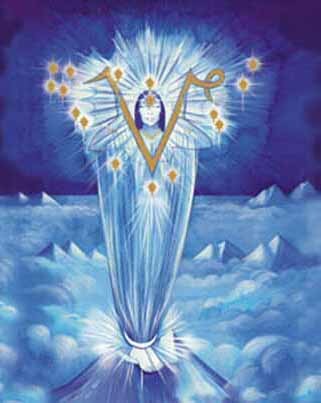 Depending on the elemental quality of the sign in which the New Moon falls, energies on variable levels are heightened, be they spiritual, physical, mental or emotional. The modality of the sign determines whether the emphasis is on consecutiveness, power or adaptability. This solar eclipse will bring out portions of healing, sensitivity, emotions, expressed needs, subconscious and reserve or quite side of you. 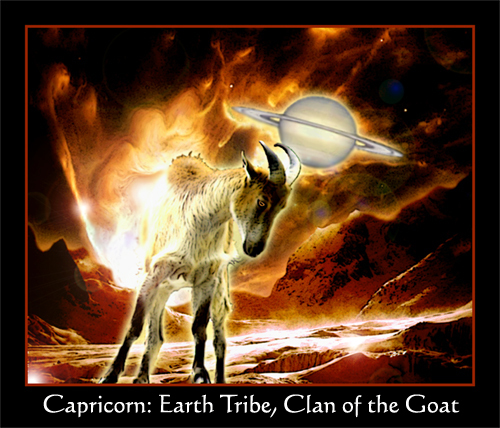 The moon in Capricorn the vibration of Saturn is emphasized. It is time for material ambition and an awareness of work and duty. In the search for status the financial security, people might become insensitive even unsympathetically cruel, but the selfish necessity rather then animosity. The Saturn influences of Capricorn cause pessimism or negativity to creep in. Generally, while the Moon is in Capricorn energy is sluggish. It is time for diligently applying your self to tasks while living solely in the present. The Earthy Capricorn Moon sets us straight up the mountainside toward our highest goals. The Earthy New Moon brings a time of brilliance and blossoming. It is a period of personal fulfillment, but also a time to search for the deeper meaning in what you’ve created. How can you integrate your vision into the world for the greater good of all? The New Moon signals a time of emergence. There is an impulse to take action and begin something new, be it a small change in the way you approach your daily routine or a whole new path on your journey through life. The energy is right for making spontaneous moves and following your instincts. This is the time to act from your heart and trust the process – take a risk, live in the moment, dance to your own drummer. The New Moon blesses new beginnings, and invites you to take a chance! What do you want to create in your life? What vision do you wish to manifest? The new begins a new cycle. It is the seed of the beginning lunar cycle. The chart of the New Moon is the key to influences in the coming lunar month. The New Moon is an asking (invocative) time, and a time to formulate what our needs are according to the opportunities available through this moon in Capricorn. The moon urges you to recognize and honor the significance of the “other” – other people, other ideas, and other values. Relationships are of great importance at this time, and you feel a need to share, to merge, to partner, whether romantically or through other channels. 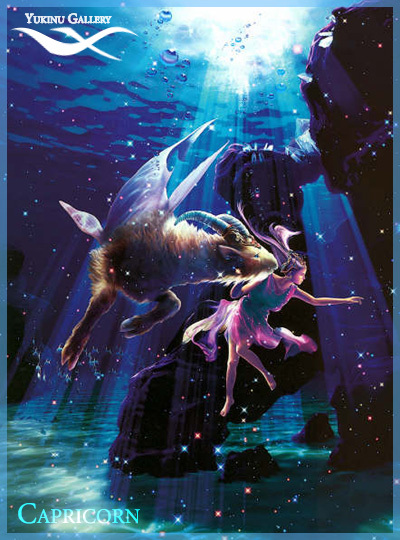 You are called upon now to work toward achieving balance – balance of your inner nature and outer personality, balance of your need to take with your ability to give, balance of your ultimate ideals with what is possible in the world Capricorn Moon sets us straight up the mountainside toward our highest goals. Dig in those hooves and get climbing! Reputation, success, go,go,go….. You can tackle anything. Love seriously, too. This is the time to Harvest, Pray and be Thankful, and to work on fertility and prosperity. You have a highly subjective personality. You strive to accomplish and fulfill your own personal plans and ideals. You tend to react impulsively and emotionally. You seek propriety and dignity in all things – thus you may be one who does not readily express emotion. You take emotional situations seriously, weighing the outcome of your words and actions. You prefer to be with people who are disciplined and correct. You are ambitious, practical and a good leader. You nurture others by acknowledging their achievements and encouraging them to persevere. Your look to your mother for discipline and order, and may see her as a person of high status. On January 15, 2010, starting at 8am EST I will be doing 6 months in-depth self reading in preparation which help you transit through the next 6 months of the Solar Eclipse energy. Many of you have already have had such a reading and some of you it may be new. These readings are quite intense therefore, I recommend that you do nothing with a relationship and let it be status quo if you can help it. Please take good care of your self this week and most of next week and I look forward to talking to On January 15, 2010 on Blog Talk Radio.